When it comes to business, you’re bound to fall into a sea of other professionals with similar interests to you, and in order to stand out from the crowd you need to get the best, unique and personalized advertising available. Custom business signs are a great way to get the word out about your business and leave a lasting impression on potential customers. 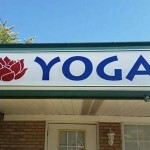 Custom business signs are a must have if you want to get your business above all the rest. Having a custom sign tailored to your business needs and budget ensures that you are the only company with that visual presence, meaning people will remember you for being you and not mistake you for someone else. Freedom of Design: Because you are getting a custom made sign, you can have it tailored to your business designs. There is a complete freedom of design and you can have it as detailed or as simple as you want. Unlimited Possibilities: With the freedom of design you have unlimited possibilities. Your custom sign can be as large or as small as you want, to be displayed near the road or right outside the door to your establishment. Cost Manageable: As stated, your signs can be how ever you want, thus the cost can range from inexpensive to expensive depending on how large and detailed you want your sign. It’s all up to your needs and budget. 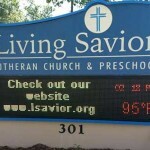 Personalized Exposure: The best part about custom signs is that you get a personalized exposure out to the world. Your sign is unique to your business, and will be associated to you and no other. A Lasting Impression: With personalized exposure you will make a lasting impression on your customers. Your sign will be so unique that they won’t ever forget it. And with The Sign Guy of Asheville you can get all this custom work! Whether you need a lighted road sign or a professional plack, The Sign Guy is the best choice for unique and professional sign designs made just for your business!